Advanced Aesthetics Dental Studio offers general, cosmetic, restorative & neuromuscular dentistry. Dr. Dave Singh specializes in all porcelain veneers, crowns and bridges, root canal therapy, safe amalgam removal, tooth colored fillings, periodontal therapy, teeth whitening, complete smile transformations and much more. Dr. Singh specializes in all areas of dentistry including general, cosmetic, restorative, preventative, and neuromuscular dentistry. He is highly recognized for his acclaimed work in complete smile transformations - from the most subtle to the most intensive cases. "Dentistry is an art and everyone deserves to have the smile of their dreams." says Dr. Singh. "With today's advanced technology, it is all possible and can be acheived in as little as two visits, in compete comfort. The health of our teeth and gums, our smile, and how we feel about ourselves are vital to our overall health, confidence and well-being ." Many of his patients have sought out his skills and talent after recieving prior cosmetics and have traveled abroad to acheive their desired results. His extreme smile makeovers speak for themselves and are considered to be works of art by his collegues and his patients. Through his own commitment to continuing education, Dr. Singh is able to utilize all the latest techniques and materials for absolutely spectacular results. Dr. Singh believes that each patient is uniques and should have the opportunity to choose the most exceptional care available to them. His goal is to have everyone actively involved in the decision process about their care by understanding their options through our patient education program and personalized approach. trusting that whatever happens, it will be OK.
Family, Cosmetic, and Neuromuscular Dentistry proudly serving the entire Tampa Bay area including: Tampa, South Tampa, Brandon, Riverview, Davis Island, Wesley Chapel, Zephyrhills, Lutz, Land O'Lakes, and surrounding Tampa Bay area. 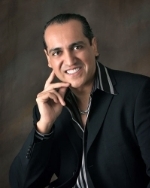 Dr. Dave Singh offers Family and Cosmetic Dentistry including general, cosmetic, restorative and laser dentistry, Zoom! teeth whitening, porcelain crowns and veneers, tooth colored fillings, metal-free crowns and bridges, gentle extractions, root canal treatment, dentures, partials, gentle cleeanings and facial rejuvenation.